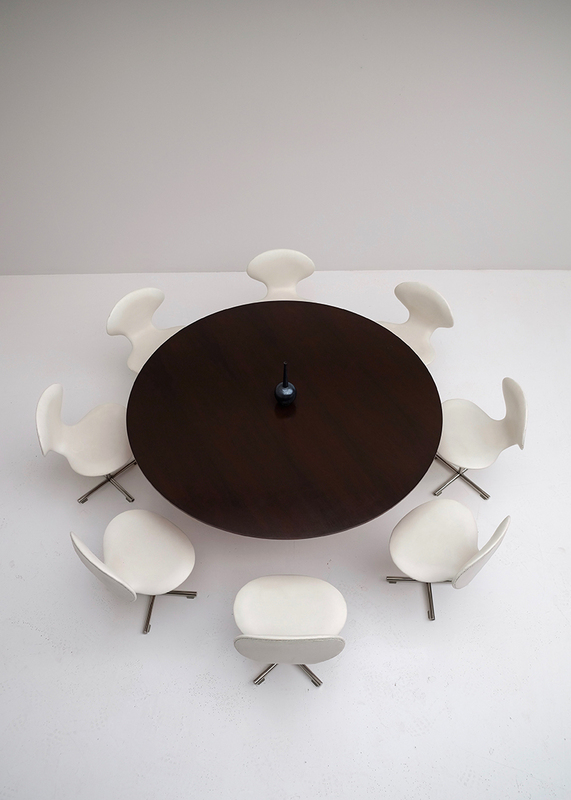 This exclusive dining or conference set is unique on its own. 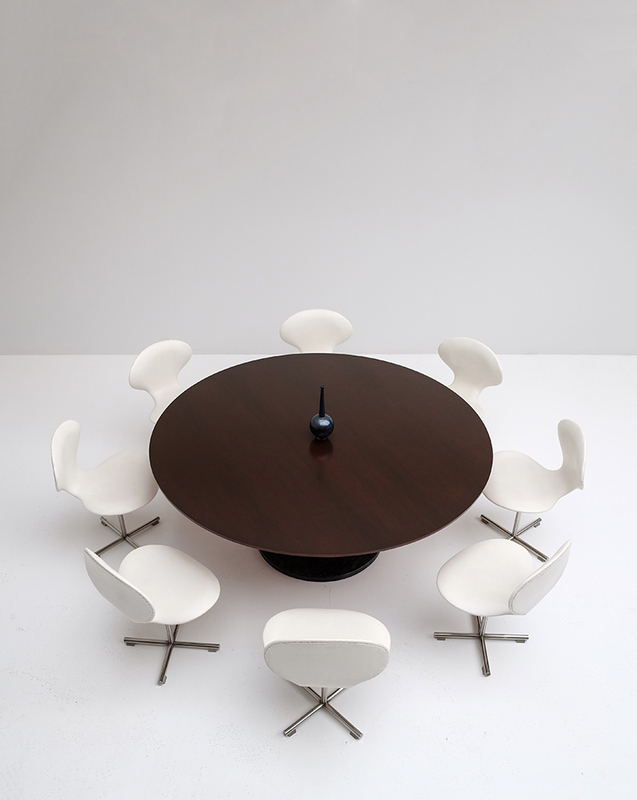 It was designed by Alfred Hendrickx for Belform in de mid 70?s and is very difficult to find this together as a set. 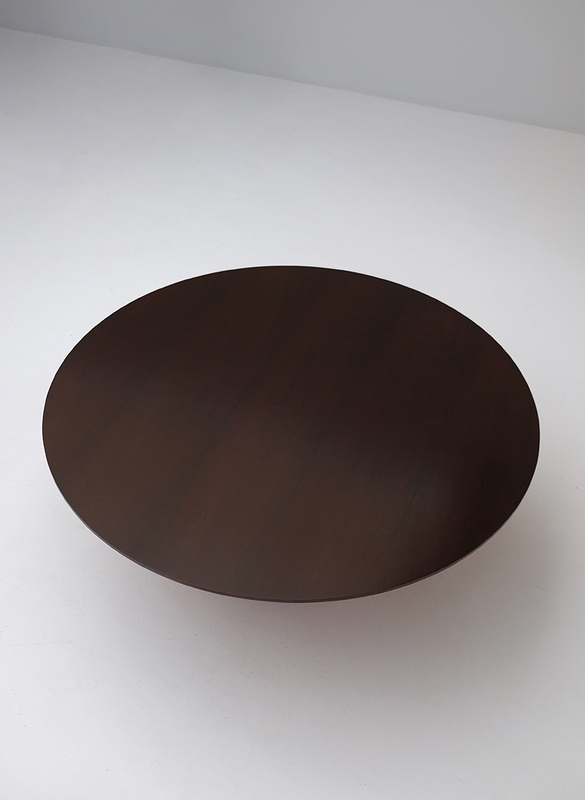 It's also shown in the catalogue from Belform. 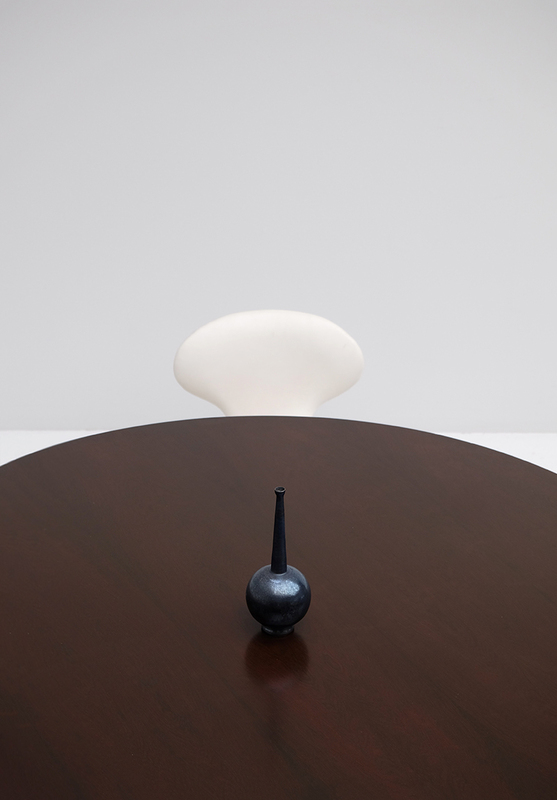 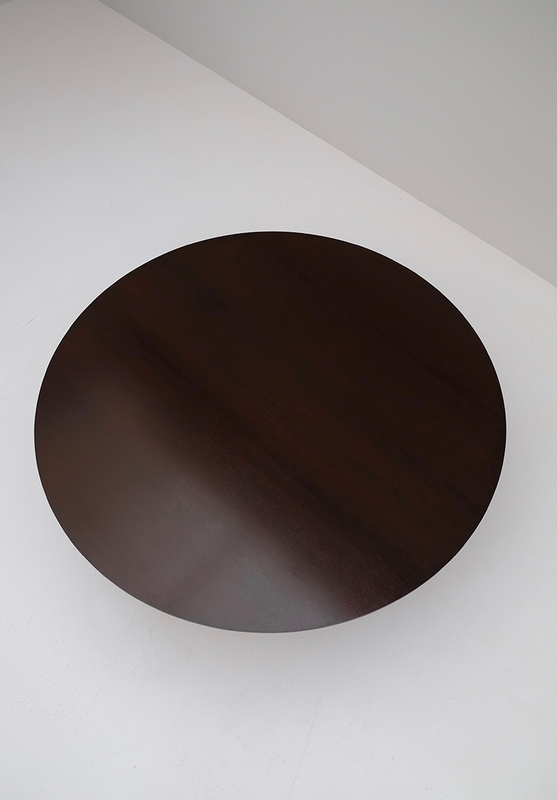 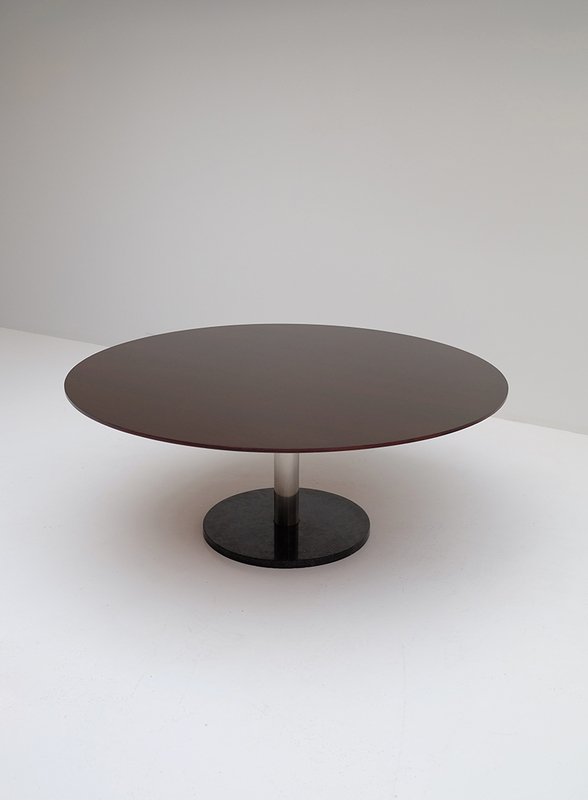 The Table is 170 cm wide and has place for eight chairs, it has a round palissander tabletop that rests on a chrome pedestal with a granite base. 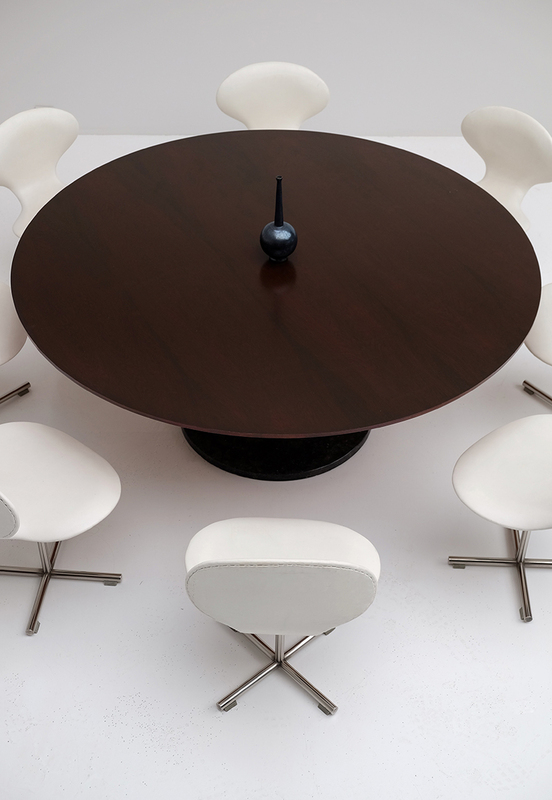 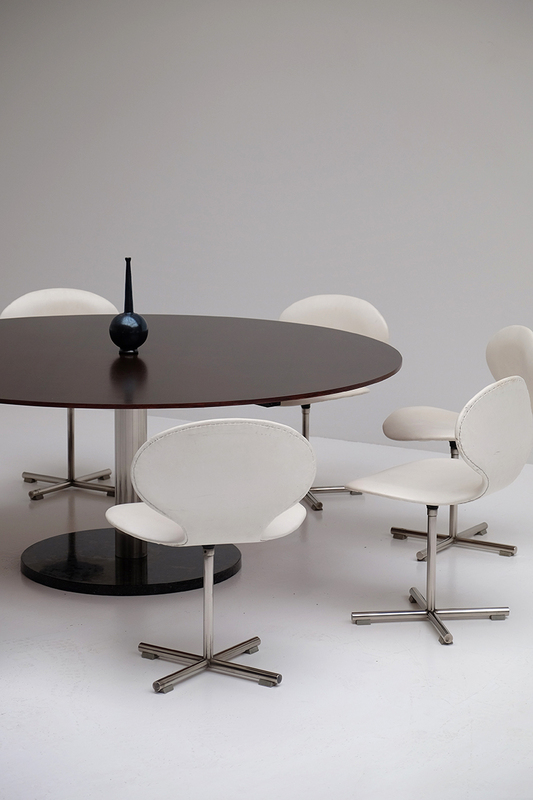 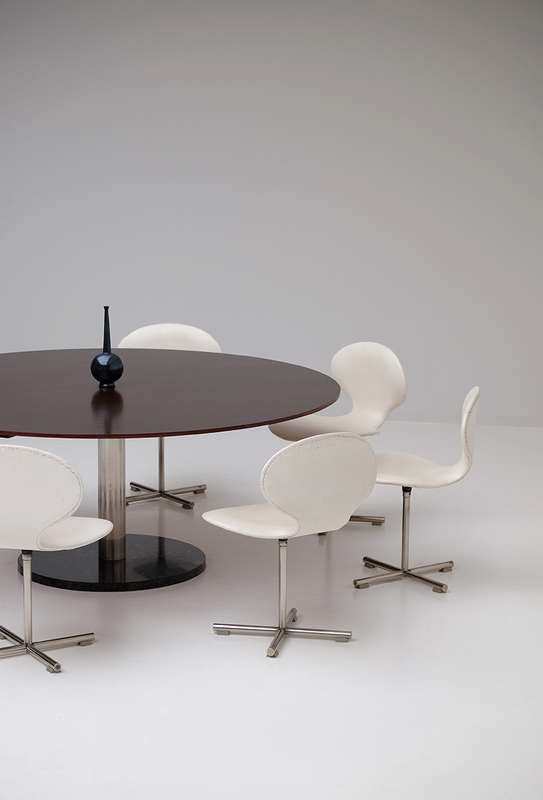 The eight swivel chairs that come with it are upholstered in white vinyl and have a chrome base. 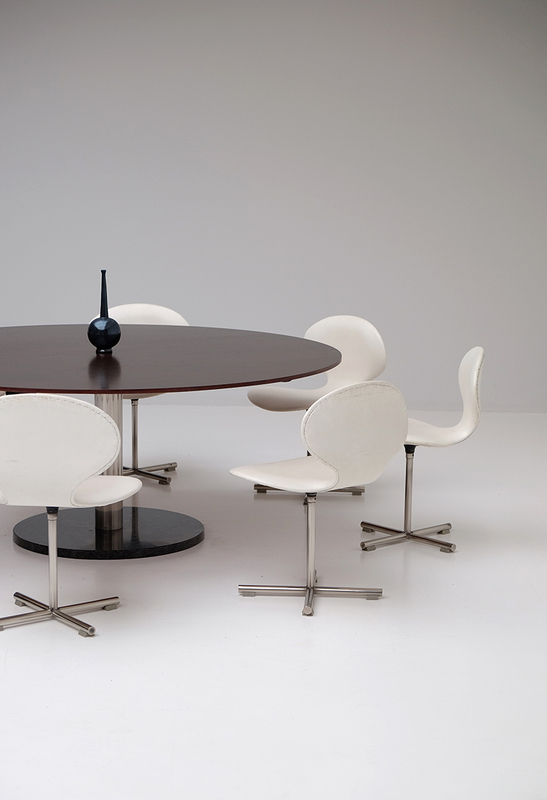 These chairs are very limited made and had the option to be fixed or swivel. 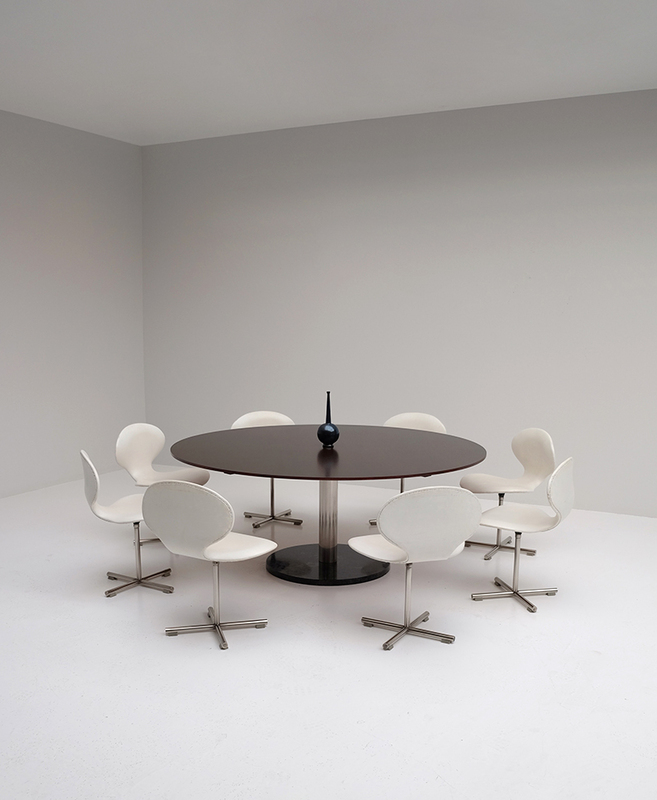 Finding this as a set together is rare and exclusive.